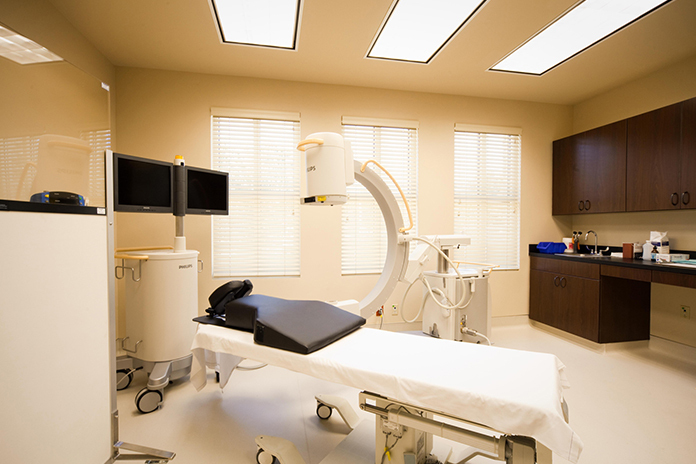 Hadi Medical Group locations in Plainview and Long Beach provides highly-effective radiofrequency ablation treatments for the lumbar, thoracic and cervical areas of the body. Our team of skilled specialty doctors and physiatrists aims to reduce pain in severe chronic pain conditions including whiplash, spondylosis, and spine post-surgical pains. Radiofrequency ablation is a target-selective procedure that uses fluoroscopy to direct a special needle that produces radiofrequency into the medial or lateral branch nerves. This is a minimally invasive technique that has a more effective and lasting pain relief. In this procedure, there a small amount of electric current produced through the special needle that ensures the safety of the other nerves alongside the targeted areas. While this may cause brief muscle pain and twitching in the affected area, the results are truly promising. This pain management treatment provides efficacy and pain reduction that helps patients suffering from spinal and nerve discomfort to enjoy their way of life.